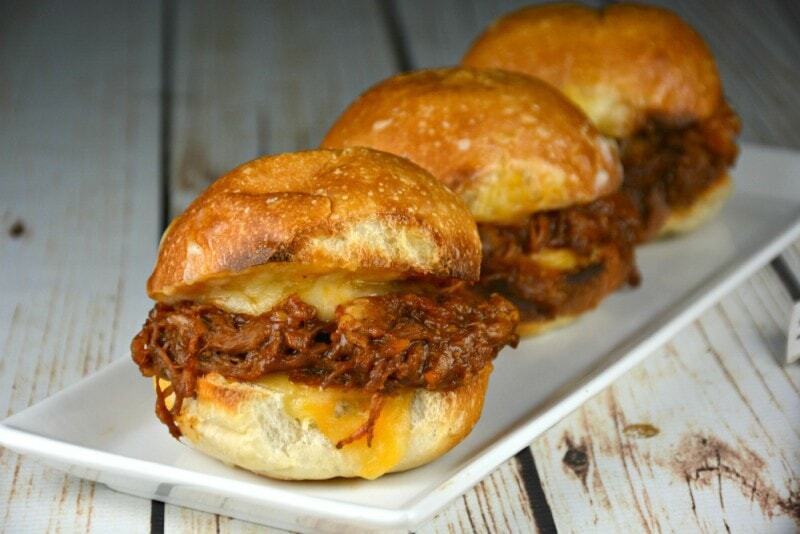 I think I could eat Our Favorite Slow Cooker Pulled Pork Pork every day! It is the easiest to prepare and always so good! When I have time I quickly make my own barbecue sauce. When I don’t, I use one of my favorites! I always have at least one bottle around! This recipe works beautifully with any kind of pork roast, especially pork shoulder, or pork tenderloin! Always tender! Always delicious! Never any leftovers! What could be better than that? 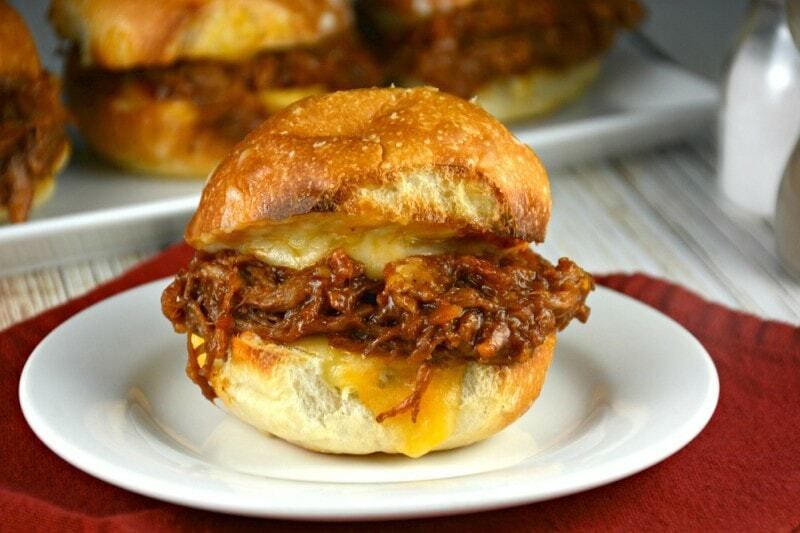 Our Favorite Slow Cooker Pulled Pork takes moments to prepare! Rub some seasonings into the meat and throw your pork, gently of course, into your slow cooker on top of some chopped onions! The only other thing left to do is pour your favorite dark pop over top! I have used everything from root beer to Dr. Pepper to Coke or Pepsi! All work just as well as the other although I usually use root beer myself! You also have the option of making our Slow Cooker Pulled Beef Tacos or Slow Cooker Pulled Chicken Tacos as well. You never know! You can wrap this pulled pork into a wrap as well! We have done that many times as well and the results have always been absolutely wonderful! I just had to make a video of Our Favorite Slow Cooker Pulled Pork! Take a peek below! 12-18 ounces coke, pepsi, root beer, dr. pepper or any other dark pop 2 cans is 12 ounces, 3 cans is 18 oz. Prepare your slow cooker with cooking spray. Sprinkle your chopped onions all over the bottom of your slow cooker. In a small cup combine salt, pepper, onion and garlic powder. Rub and press your spice mixture all over your pork. Place your pork inside your slow cooker, on top of your onions. Pour the dark pop of your choice all over your roast. Cook on low for about 8 hours. Gently remove your roast and set aside on a plate. Dump the remaining liquid in your slow cooker down the drain and wipe out your slow cooker with paper towel as best you can. It does not have to be perfect. Before returning your roast back into your slow cooker remove any bone, fat or muscle sections from the roast. As you clean up your roast throw pieces that you will be using and eating back into the slow cooker. Next, using two forks, or your fingers, shred the meat. Prepare your barbecue sauce if you are not using store bought. Add to your shredded meat and continue to cook on low until heated through, between 45 minutes and one hour. Use as much or as little sauce as you prefer. Split your buns and place in your oven on broil to toast each half. Once halves are starting to brown remove from oven and add cheese and put back under your broiler until cheese is melted and starting to brown. Using tongs, pinch piles of the pork mixture on top of each bun half and top with the other half. Serve and enjoy! I made this yesterday. Absolutely delicious! First time i made pulled pork…. now a big fan of this recipe and will always toast my buns from now on! Super tender! Super Yum! I used pork shoulder, 12oz rootbeer, I didnt use hot sauce, but followed everything as written. Hubby loved it ! 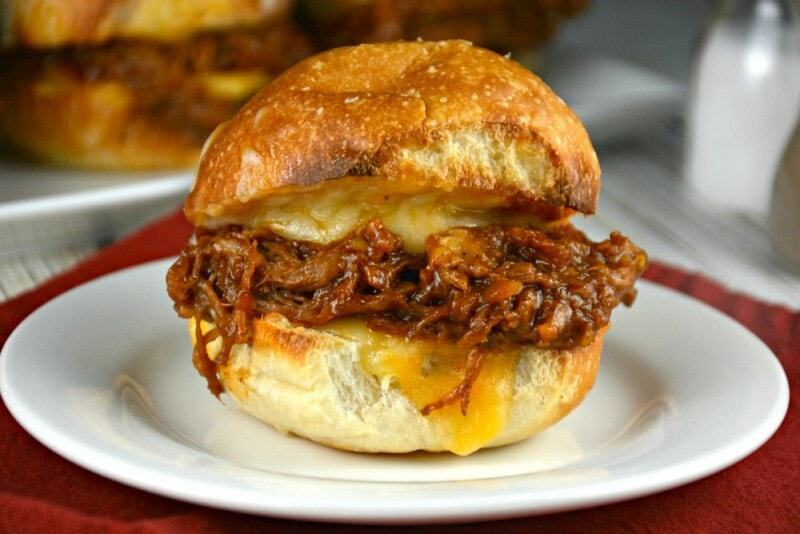 Will be my go to for pulled pork! Thank you. Now following for more receipes.